SARA’s Tewkesbury station formed in June 2008 as a result of the 2007 Floods. 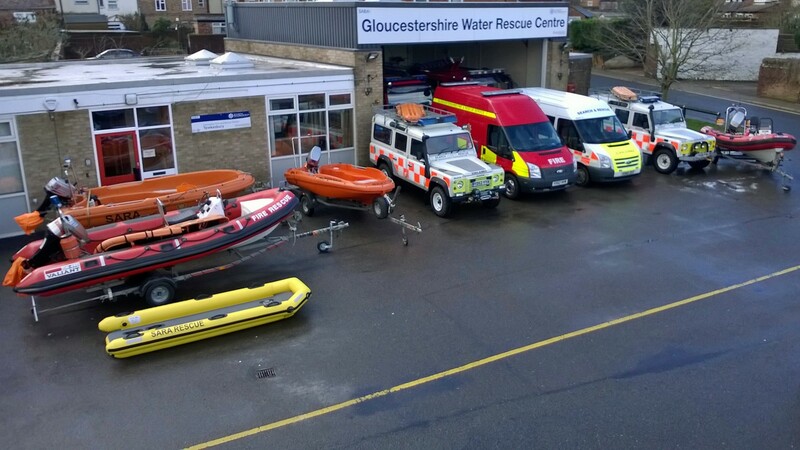 The team are currently based at Tewkesbury Fire Station, alongside Gloucestershire Fire and Rescue (GFRS). The combined resources of SARA and GFRS ensure the area is better prepared for future water rescue and large scale flooding responses. The team at Tewkesbury cover multiple rescue disciples including; flood boat rescue, swift water rescue, land search and rope rescue. Our operational area covers north of Maisemore Weir along the River Severn, the Cotswold escarpment including Cleeve and Leckhampton Hills, the Malverns, the five valleys around Stroud as well as providing operational support to our sister stations at Beachley, Sharpness, Wyre Forest and Newport.